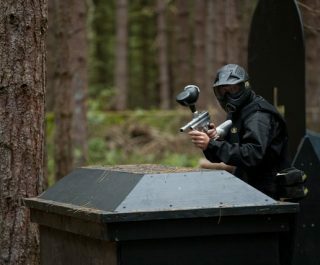 The Delta Force Plymouth paintball centre is located at Plympton, on the city outskirts, and offers customers a unique paintballing experience that is hard to find anywhere else in the Devonshire countryside. A great option for Devon and Truro. 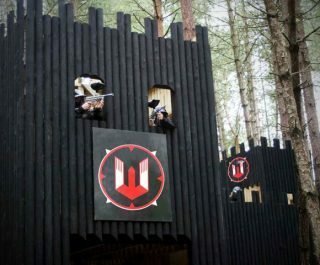 Set in attractive woodland, the Plymouth paintball centre’s varied game scenarios enable customers to experience all types of exhilarating warfare situations, with one game zone set in an exposed mine. 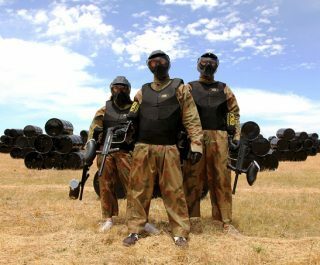 Whilst you are out and about in our game zones, doing your best not to get eliminated, ensure you keep an eye out for the Terminator who frequently walks the fields, giving players an opportunity to earn extra bonus points for successful direct hits. 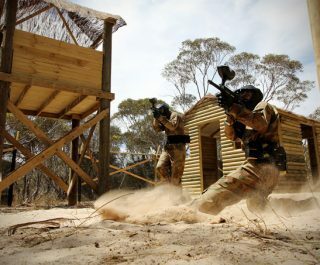 To keep energy level up for the afternoon games, participants can order a freshly prepared pizza that is delivered at lunchtime. 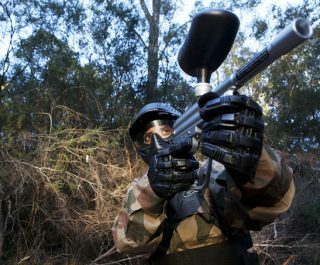 Book the Plymouth paintball centre now by visiting the paintball booking page or calling our events team 24 hours a day, 7 days a week on 0203 869 9301.